I really appreciate this! 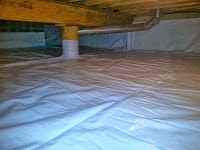 I've been trying to figure out how I do crawl space waterproofing in Chicago, and found this very helpful. Thanks for sharing this.